A lot of consultants/advisers/trainers/speakers and folks in all kinds of businesses are attempting to go global with their work. And why not. Through technology almost anyone can have a global business. I went global more than a decade ago and still have many clients in many places. And often I conduct my mentoring sessions with my clients from my home office in my pyjamas! This is never the same as in-person work for me, yet it's convenient and valuable for my clients and very easy and enjoyable for me to do. Recently though I am focusing on local more than global. For me it's about lifestyle. Why would I catch a plane to go to work when I can drive or catch a train and be home for dinner? Why indeed. This is a both/and scenario for me. 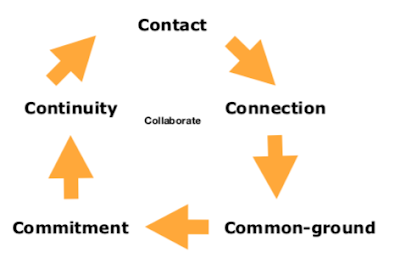 I am still keen to work globally online and in-person and yet I am achieving greater life/work harmony for me by seeking out clients around the corner and down the road. You? My point is that whatever everyone else is doing, maybe you should do something different. 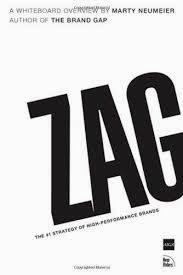 The writer of 'ZAG - the #1 strategy of high-performance brands' Marty Neumeier argues strongly that our differentiation must be radical. I couldn’t agree more. Marty suggests if everyone is zigging maybe you should be zagging! Doing what no-one else does is very hard to do. Doing what everyone else does, is a game for fools. Doing what others do, just better, differently, or more uniquely is a game we can all play well.